Munro's professorships. John Forrest. Women students. Student celebrations. Founding the Law School, 1883. Retirement of Principal Ross. Fighting the city over the Parade. Failure of union with King's, 1884-5. Getting the new building on the South Common, 1887. 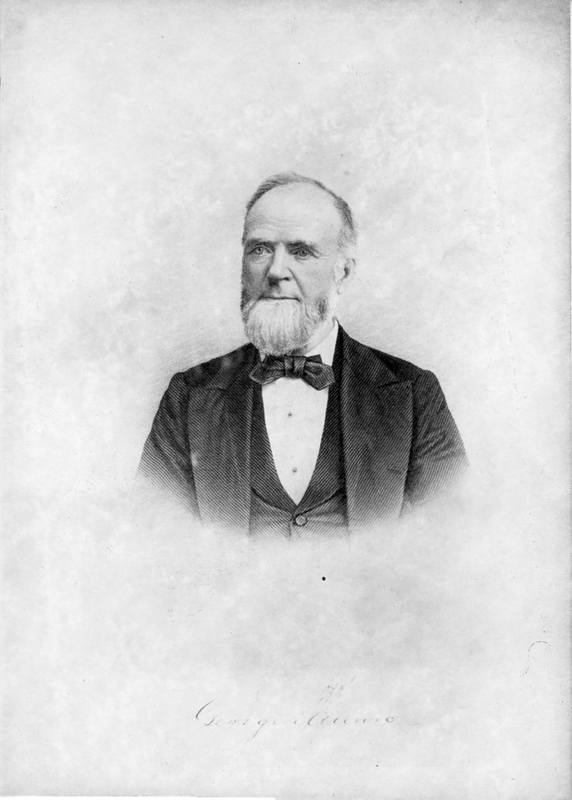 "George Munro was born near Pictou in 1815, apprenticed to a printer at twelve, and became a teacher at Pictou Academy at nineteen. In 1850 he went to the Free Church Academy in Halifax to teach mathematics and physics, becoming principal two years later. He had brought the academy to a flourishing condition when, amid much regret, he resigned in 1856. The reason he gave was health, but a private one was his uncertainty about his vocation; he had been preparing to be a Presbyterian minister - that calling for many intellectually minded young men in the nineteenth century. Rumour had it that after preaching one sermon he resolved never to preach another. He had no joy in eristic discourse from the pulpit. He was reserved, even shy, and in later life never sought, indeed retreated from, the limelight. He sailed for New York in October 1856, at the age of thirty-one. "Ill from overwork, Munro found time at last in 1879 to take a long summer holiday in Halifax, living with his brother-in-law John Forrest on Brunswick Street. They talked and walked much. Forrest knew the needs of Dalhousie all too well after six months on its board. Desperate is not too strong a word for Dalhousie’s financial condition. Talk of closing Dalhousie down was heard on every side. The most pressing need was to find the money to replace J.J. MacKenzie in physics. One day, as Forrest was explaining this, Munro looked at him and said quietly, 'If you will find the man for the chair of Physics, I will find the money.' Forrest took him at his word, and announced the offer to a stunned Board of Governors on 21 August 1879..."